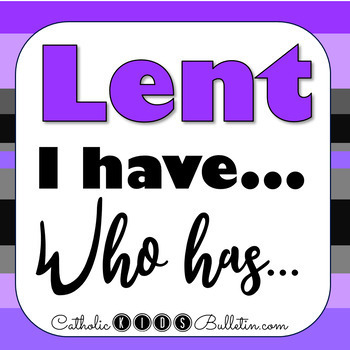 Lent Game: Vocab and Trivia "I Have... Who Has..."
This is a traditional "I Have...Who Has..." game with Lenten vocabulary. 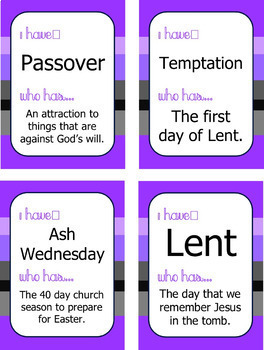 It's perfect for a quick review of the Lent information that we're teaching in those long weeks before Easter! There are 6 pages with 4 cards per page. 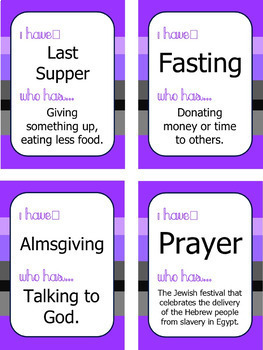 Print, laminate, cut out, and you're ready to play! 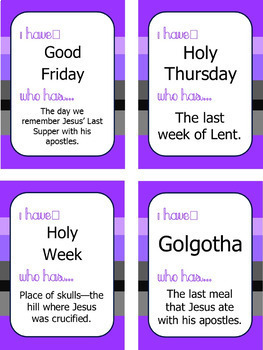 There is also an answer page to help match the words to the definition, and a printable instructions page with 2 options for activities. If you like this, there are other products available!